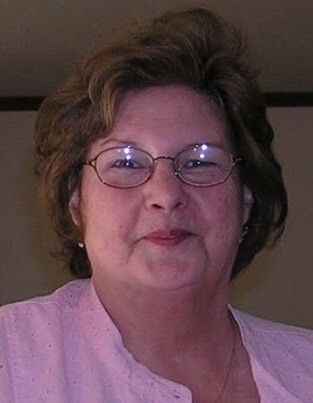 Judith “Judi” Carol Winchester of Warsaw, Indiana passed away at 3:27 p.m. on Wednesday, November 21, 2018 at Kosciusko Community Hospital of Warsaw at the age of 69. She was born on September 25, 1949 in Garrett, Indiana to Margaret (Traxler) Gael and Lloyd Gael. Judi was a homemaker, a coordinator for the Warsaw Senior Center and for Real Services, and had worked in the press room at R.R. Donnelley & Sons in Warsaw. She loved to keep active…she was very crafty, was a member of Phi Delta Kappa, member of the Warsaw Moose Lodge, enjoyed playing bingo at the American Legion Post 49 in Warsaw, but most of all she dearly loved her grandchildren. Judi was a huge part of everyone’s lives that she touched and will be forever loved and deeply missed by her family and many friends. She will be lovingly remembered by her two sons: Jeff Winchester (Colorado); Jay (Kristi) Winchester (Warsaw, Indiana); three grandchildren: Cerridwen, Russell, and Brooke; brother: John Gael; and her two sisters: Karen (Bill) Howard (Albion, Indiana); Mary (Ron) Culbertson (Auburn, Indiana). She was preceded in death by her parents. Friends and family are invited to stop by and celebrate Judi’s life on Friday, November 30, 2018 from 5:00 - 6:00 p.m. at Redpath-Fruth Funeral Home, 225 Argonne Road, Warsaw, Indiana. Memorial donations may be directed to the Kosciusko Community Senior Services 800 N. Park Avenue, Warsaw, Indiana 46580 and would be appreciated by the family.